15" Bass With A Huge Fight! Caught a really small minnow, so I said what the heck, throw it out there, and what do you know, a huge bass swallows it whole!!! 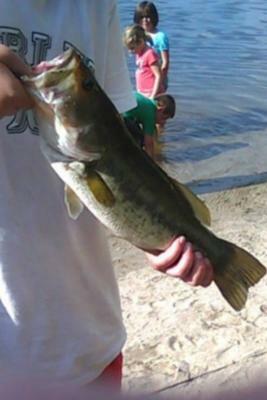 Comments for 15" Bass With A Huge Fight! I was used to live worms and artificial lures. Last week I used minnows for the first time for Bass. Ended up catching a few of the biggest Bass I ever caught. Nice Bass by the way. Good luck fishing.